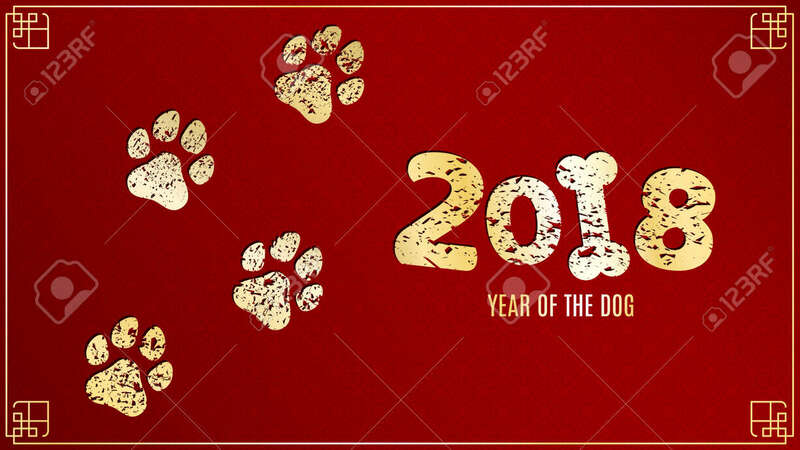 The Year 2018 Is A Yellow Earth Dog. Golden Traces In Grunge.. Royalty Free Cliparts, Vectors, And Stock Illustration. Image 79011948.